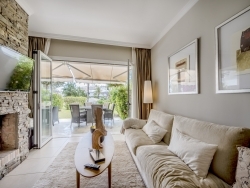 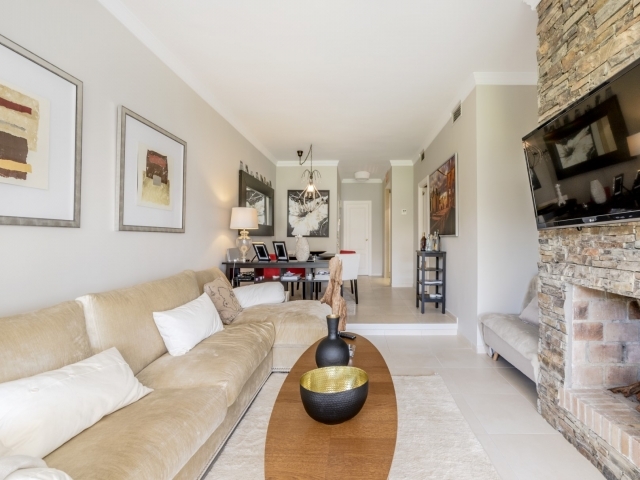 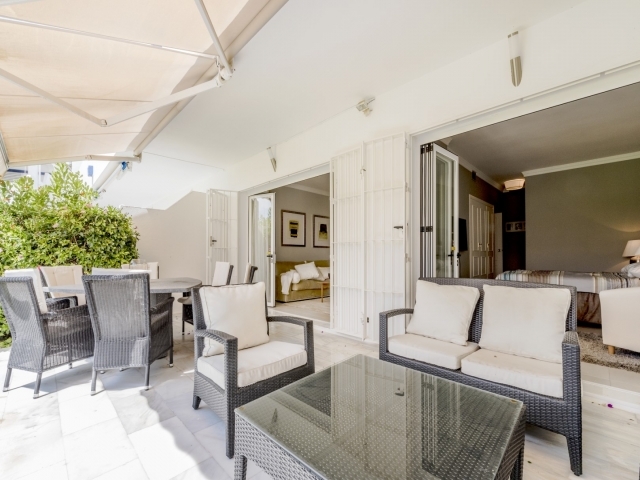 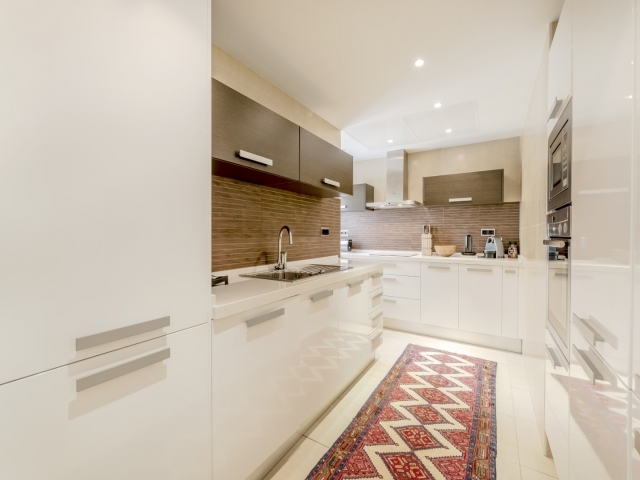 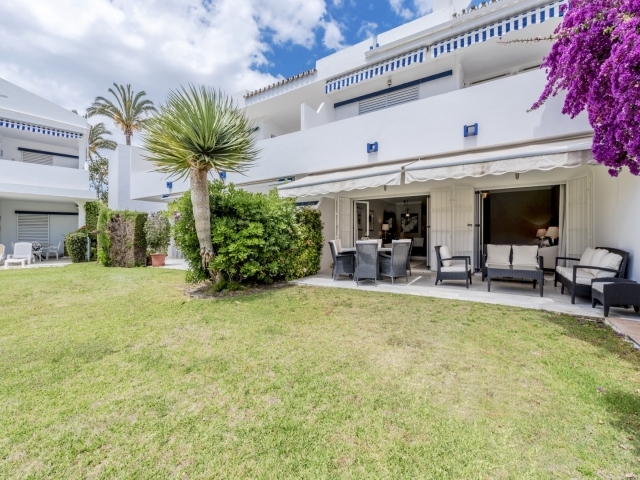 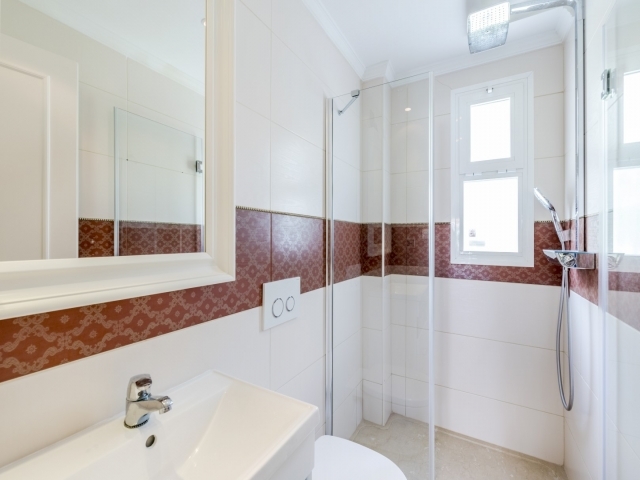 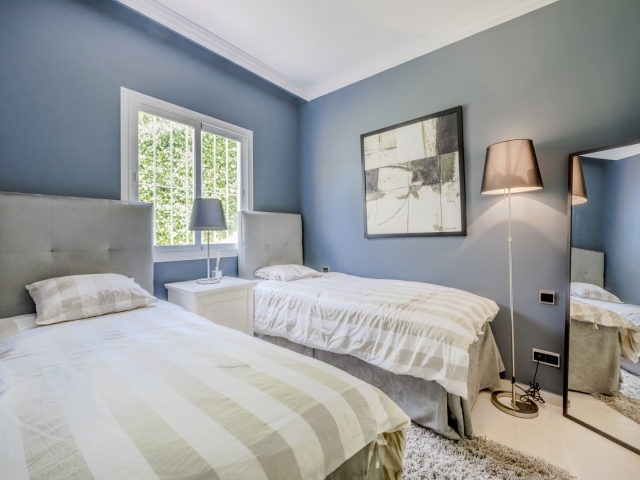 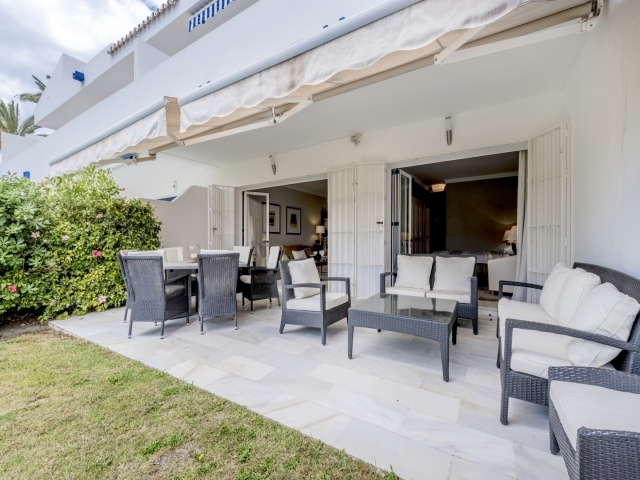 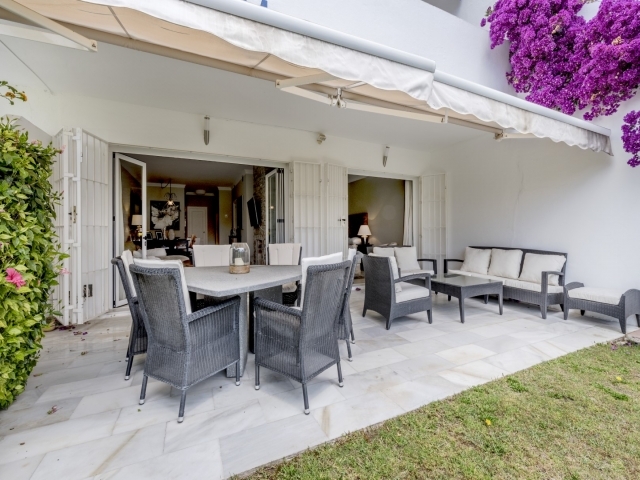 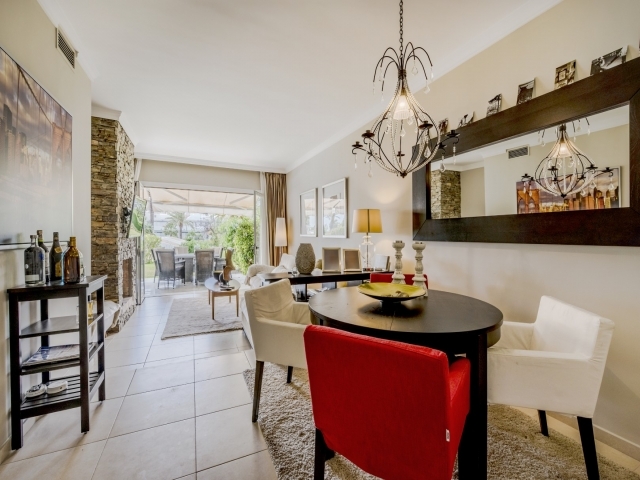 Stunning two bedroom ground floor apartment in a highly convenient location in Nueva Andalucia. 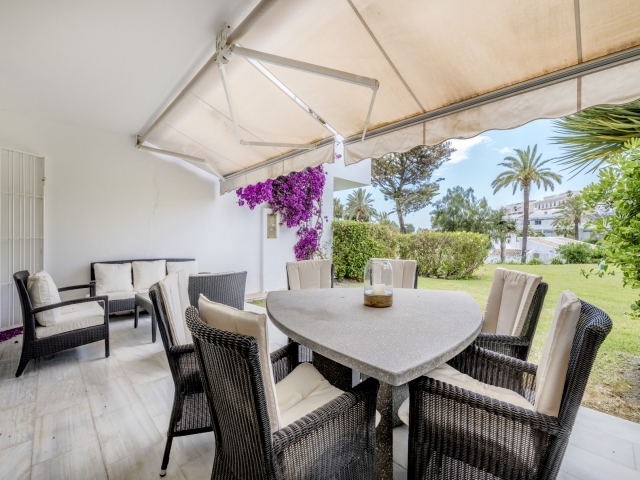 Los Dragos is a gated residential complex situated a few minutes' stroll to a selection of bars and restaurants in Aloha Gardens and a very short drive to Puerto Banus and the beach. 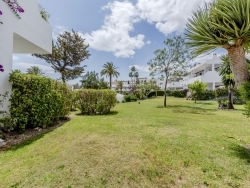 Marbella, San Pedro and a range of renowned golf courses are all within easy reach by car too. 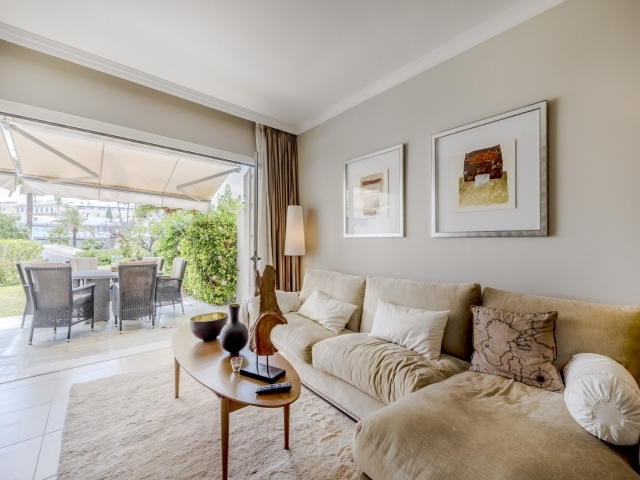 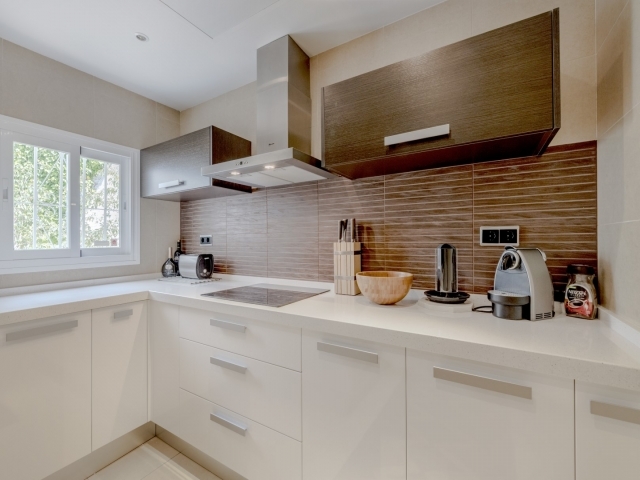 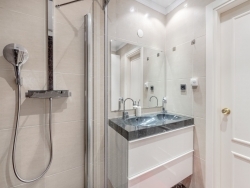 This unit has recently undergone extensive refurbishment throughout to create a contemporary apartment offering bright and modern living space. 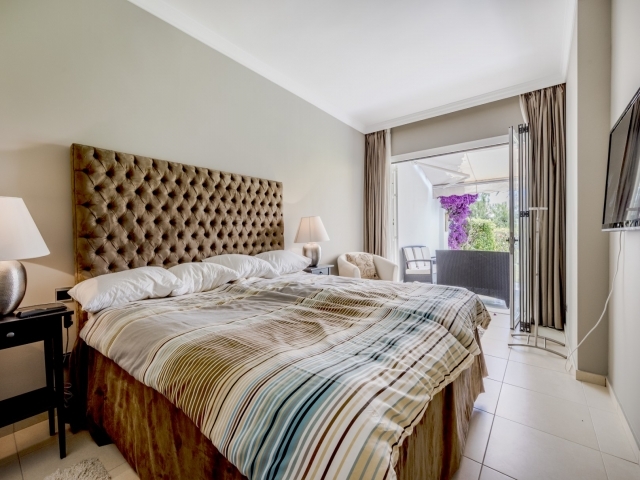 Accommodation comprises a living/dining roomwith beautiful stone fireplace, an extended and fully fitted kitchen, large master bedroom, a second double bedroom and two modern bathrooms. 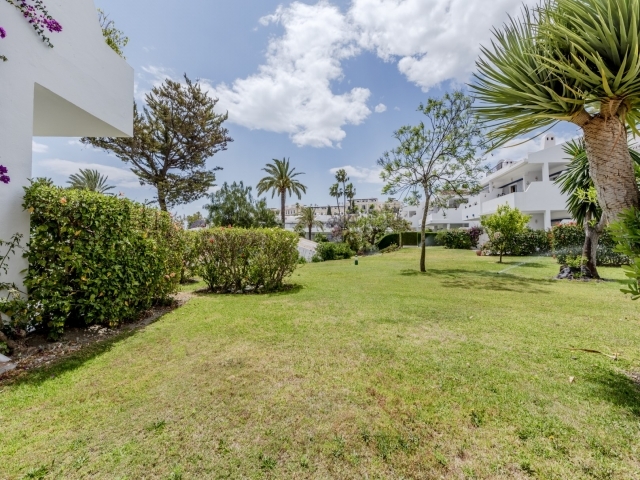 Externally there is a good-sized terrace leading down to the communal gardens. The complex features well-maintained gardens, communal swimming pool and kids pool, tennis/padel/squash courts and carport parking. 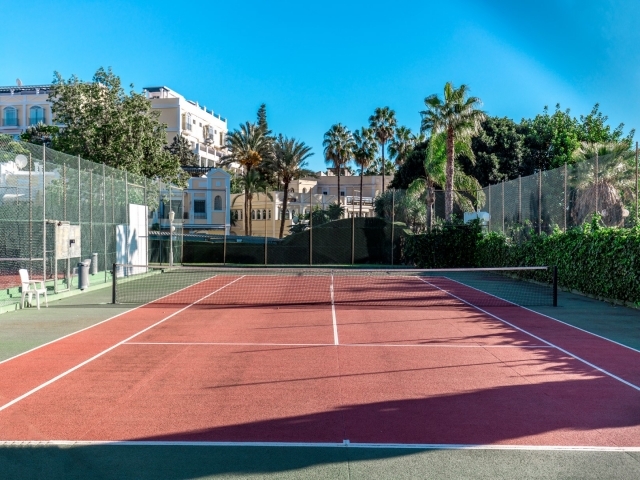 A rare opportunity to acquire a fully renovated apartment in this increasingly popular complex; offering excellent rental potential, Los Dragos is a superb choice for bring conveniently situated close to bars, restaurants, schools, supermarkets and sporting facilities.